FyndIt’s Classic X-Men Comic Contest – Week 4 Winner! Posted on May 27, 2014 by Mandy	in Contests, FyndIt and tagged BtVS, Buffy, Buffy the Vampire Slayer, Collectibles, Collecting, Collector, Contest, Demonic, Devil, Find, Finder, Finds, Found, FyndIt, Mask, Props, TV Show, Uncanny X-Men, Vampires, X-MEN. If you are a Buffy the Vampire Slayer fan, you will definitely want to check out the winning one-of-a-kind Find posted during week 4 of FyndIt’s Classic X-Men Comic Contest! After three weeks of winning Wants, we were really hoping for a unique and rare Find to bring in the top score during week 4 of the X-Men contest. This week’s winning Find did not let us down! This is exactly the type of amazing Find that we encourage members to post to FyndIt, to give collectors the opportunity to discover some amazing hard-to-find memorabilia. Congratulations to FyndIt member Nerdlyweds for submitting the winning Find, SCREEN USED Sweet Mask: Own a One-of-a-Kind Piece of BUFFY History from the Most Iconic Episode in the Series, “Once More, with Feeling”! for week four of FyndIt’s Classic X-Men Comic Contest. Description: Joss Whedon fans, rejoice! Especially if you’re a BUFFY fan! This screen used mask is the only known mask that was created for and used by Hinton Battle in his iconic role as Sweet, the musical demon who wreaks havoc in the fan-favorite BtVS episode, “Once More, With Feeling.” Sweet’s mask was not originally sold after the show was over, as Mr. Hinton Battle himself took it home with him after he finished filming his iconic song and dance numbers in “OMWF.” Eventually, however, lucky for us, the screen worn Sweet mask was sold along with a headshot of Hinton Battle (included)! Sweet’s mask now rests in a display case on a Styrofoam head (to help keep its shape) in a private collector’s mini-museum and is in excellent condition, considering this episode was filmed over ten years ago (feeling old yet?)! If you are a serious Buffy the Vampire Slayer memorabilia collector, you don’t want to miss out on this one-of-a-kind item. It may never be available again! Click here to find out the location of this amazing piece of Buffy history. Our week 4 winner has been entered for a chance to win FyndIt’s X-Men Comic Contest grand prize set of CGC near mint Uncanny X-Men comic books signed by the legendary comic artist Stan Lee. YOU have an opportunity to win the grand prize as well! Our contest continues through June 1st. Enter for your chance to win! Entering FyndIt’s Classic X-Men Comic Contest is easy! Read the contest rules and click Accept. Create a username and password at FyndIt. Verify your email so that we know you are not a mutant. Create and post your most interesting WANT or FIND. Don’t forget to add a photo, description, price and a bounty to your contest entry. Don’t miss out on the opportunity to win the Marvel comics that inspired the upcoming X-Men movie Days of Future Past. Check out the X-Men Contest FAQs for more information. Posted on May 23, 2014 by Mandy	in Comic Books, Contests, FyndIt, Want of the Week and tagged Collecting, Collection, Collector, Collectors, comic, Comic Books, Comics, Contest, Find Stuff, Finds, frankenstein, FyndIt, Uncanny X-Men, want stuff, Wants, Wolverine, X-MEN. The wait is finally over and X-Men Days of Future Past is in theaters! The FyndIt website has seen a lot of traffic from X-Men comic memorabilia collectors over the last few weeks. We thought we would take a look at some of the best X-Men Wants posted to FyndIt. A Want is an item posted by a collector that they need help finding. If you are a fan of X-Men or all around comic book junkie, you should click on some of the X-Men Wants below and see if you can track any of them down. Post your X-Men Find and if your item is accepted as a match, you could earn a sweet bounty reward for your efforts! Description: I’m a serious Uncanny X-Men fan, had collected many between #121-175, and unfortunately, family had to move and our stuff was put into storage for many years, did not see my comic box for a long time. Would like to get this issue of a nicely centered Uncanny X-Men #125 in CGC 9.8 White Pages (Newsstand edition ONLY, which has the issue number within a box on top left of cover, not within a diamond like the direct editions have. This edition also has a full UPC barcode which is not crossed out like the direct editions have). An image of the type of edition I’m looking for is shown, although that is a lower grade copy. Description: First appearance of the new X-Men team. Item must be in great condition and complete. I personally have been collecting X-men comics since I was eight years old. I own Uncanny X-men issue 143 to current. This would be a huge addition to my collection. Description: I’m looking for the original X-men #1 comic book released in 1963. Comic must be in good condition and complete. I have been collecting X-men comics since I was eight years old. This rare and incredible comic would be the best part of my collection if added. Description: Looking for a copy of X-Men meet Frankenstein in good condition. Description: This was my first comic book. Looking for one in good condition. There are plenty of other comic memorabilia items wanted on FyndIt. Check out the most recent Want listings and see if you can find stuff! Wolverine is a WANTED mutant on FyndIt! Posted on May 21, 2014 by Mandy	in Comic Books, Contests, FyndIt and tagged Collecting, Collection, Collectors, Comic Books, Comics, contests, Days of Future Past, Finds, FyndIt, Uncanny X-Men, Wants, Wolverine, X-MEN, XMEN. With only a few days left until the movie premiere of X-Men: Days of Future Past, the FyndIt website has been filling up with Wants and Finds for X-Men comics and memorabilia. Our Classic X-Men Comic Contest is going strong and the competition for the grand prize has been getting stiffer! Out of all of the rare and unique comics posted on FyndIt since the start of our contest, the most highly sought after comic is The Incredible Hulk #181. The collector demand for this issue is really high, because it features the first full appearance of Wolverine. Over at least fourteen people have posted a Want to FyndIt for this comic in the past few weeks. Comic collectors are offering a $0.50 to $5.00 or more bounty reward to anyone who can help them locate this comic in the condition specified. Some folks are searching for signed near mint copies and others are looking for more affordable lower grade copies. If you are a comic collector or know where to purchase copies of The Incredible Hulk #181 in different grades and price points, make sure to cruise the Want listings and post your great comic book Finds! If a collector accepts your Find as a match, you could earn a bounty reward. FyndIt rewards are easily cashed out through PayPal. You really can make money helping others find comics! Check out the other Wolverine Wants posted to FyndIt and see if you can make a match. Those bounty rewards can start to really add up! Click on any of the photos below to view the Wants and start raking in the dough. So not only can you make money helping people find Wolverine collectibles at FyndIt, you could enter for a chance to win our Classic X-Men Comic Contest that runs through June 1st by entering your best Want or Find. Tell us what you are looking for and we’ll help track it down for you! Entering FyndIt’s X-Men Comic Contest is easy! Read the contest rules and click Accept. Create a username and password at FyndIt. Verify your email so that we know you are not a mutant. Create and post your most interesting WANT or FIND. Don’t forget to add a photo, description, price wanted and a bounty to your contest entry. Don’t miss out on your opportunity to win the Marvel comics that inspired the upcoming X-Men movie Days of Future Past! Check out the X-Men Contest FAQs for more information. FyndIt’s Classic X-Men Comic Contest – Week 3 Winner! Posted on May 20, 2014 by Mandy	in Comic Books, Contests, FyndIt and tagged Collectibles, Collecting, Collection, Comic book, Comic Books, comic covers, Comics, Contest, Earn Money, FyndIt, golden era comics, Uncanny X-Men, underwater, X-MEN. We are sending a big shout out to everyone who participated in week three of FyndIt’s Classic X-Men Contest! There were many great Wants and Finds submitted last week. We are very excited to announce the week three winner of FyndIt’s Classic X-Men Contest. Congratulations to UWComics who entered the winning Want Sure Fire Comics #2! Our winner collects a subgroup of golden age comics depicting underwater scenes on the comic cover. UWComics has been collecting underwater comics for over thirty years and is searching for a solid copy of Sure Fire Comics #2 to complete their collection. If you know where to find this rare comic, log onto FyndIt and post your Find. If UWComics accepts your match, you could earn a bounty reward for locating the underwater comic in the condition and price wanted! Helping people find stuff is fun and those rewards really start to add up after a while. It’s super easy to cash out your FyndIt rewards through PayPal. If you didn’t catch the third week of our contest, you still have two more weeks to enter to win a set of The Uncanny X-Men #141 and #142 comics! They are both CGC professionally graded near-mint copies. Post your best Want or Find to try and get your hands on a comic book prize. The contest runs till June 1st. Don’t miss out on your opportunity to win the Marvel comics that inspired the upcoming X-Men movie Days of Future Past! Posted on May 16, 2014 by Mandy	in Comic Books, Contests, Want of the Week and tagged Catwoman, Collecting, Collector, Comic Books, Comics, Contest, Find, Find Stuff, Finder, FyndIt, Gotham City Sirens, Harley Quinn, Poison Ivy, Subaru, Uncanny X-Men, Want, Wonder Woman, X-MEN. 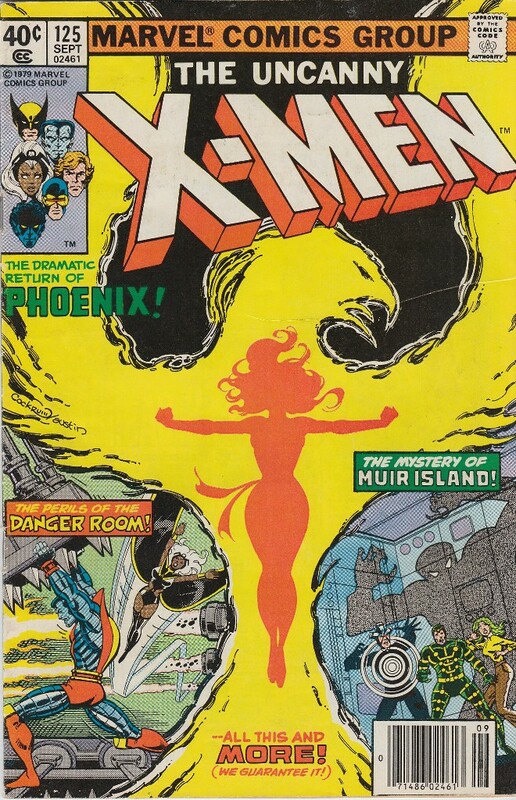 There were several great Wants posted during week two of FyndIt’s Classic X-Men Comic Contest. 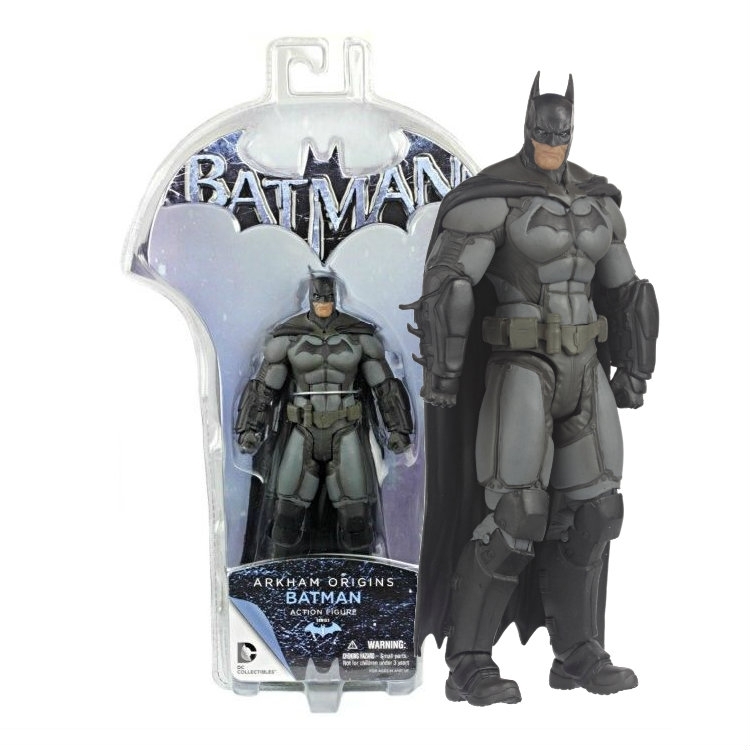 Wants are items wanted by collectors who are having a hard time finding collectibles online or in stores. FyndIt is a great place to get help looking for rare or unusual comic book memorabilia. Someone on FyndIt is searching for a rare variant cover of Gotham City Sirens #1. Help this comic book collector find the last remaining comic to complete their collection! Earn a bounty reward if you can locate this comic and your Find is accepted as a match. Another comic collector is looking for a mid grade copy of Wonder Woman #4 for a fair price. They are willing to pay between $400 and $1,200 for a 3.0+ to 6.0+ grade. Do you know where to score a great deal on Wonder Women comics? If so, you should click on the Want Wonder Woman #4 and help this collector track one down. People look for all kinds of stuff on FyndIt. One of our members located in Salinas, California is looking to purchase OEM fenders for the passenger front and passenger rear for a 2003 Subaru Impreza WRX. The color of the fenders does not matter. They are willing to pay $10 to someone who can help them track the fenders down within 1,000 miles of Salinas, California. The Subaru owner is willing to pay $250 for the pair of fenders. If you know where to locate car parts in California, click on the link to see if you can help this car owner out. Click on any of the Top Wants for week one of FyndIt’s X-Men Comic Contest and see if you can track down any of these hard-to-find items. You’ll feel good about helping others find unusual stuff and it won’t hurt to earn money while you are at it if your Find is accepted as a match. There are plenty of other items wanted on FyndIt. Check out the most recent Want listings and see if you can find stuff!